Over the years my Dad has regaled us all with stories of when he was a young boy growing up in Ireland. 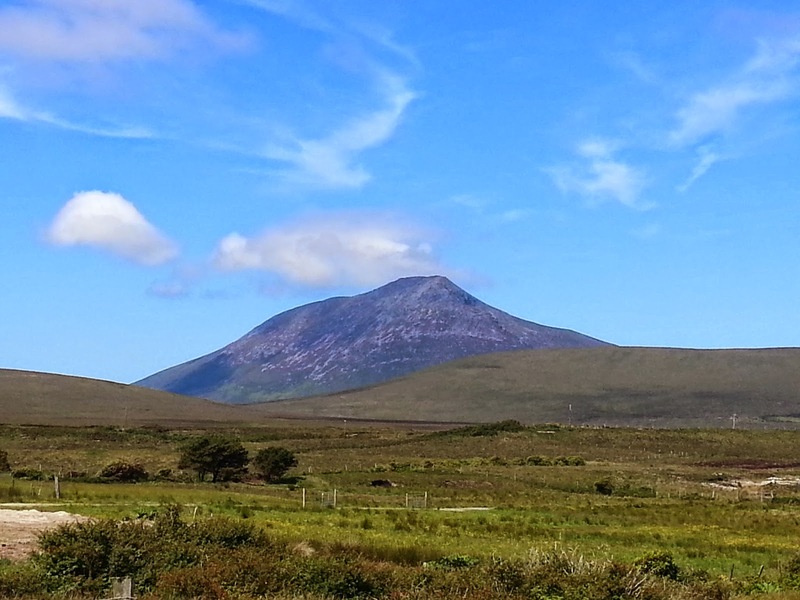 He was born and reared on Achill Island in Mayo, one of the most beautiful places on this planet but a harsh place to grow up in the Ireland of the 1950s. His stories vary from fishing expeditions, shooting rabbits and chasing sheep to days and nights spent out on the mountains caring for cattle. There is, however, one common feature to all of his stories - they all have the same ending that goes like this: "and we did all that and no shoes on our feet." It's become quite a catchphrase in our family. Of course, we can have a laugh and a giggle about it safe in the life that my parents provided for us where we didn't have to contemplate a life without shoes. However, as much as I might smile to myself when I recall some of my Dad's stories, I'm still very grateful and happy that I never had to go barefoot. It's with some irony then that I watch my children happily wandering the local streets and parks in Brisbane with no shoes on their feet! By choice! 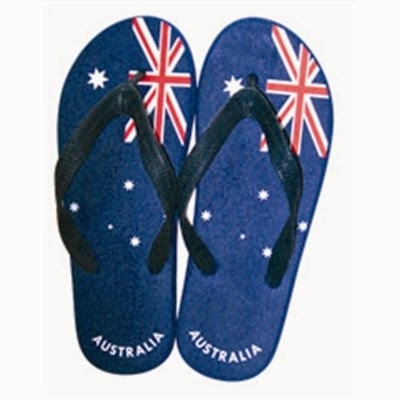 Now, Australia is home to the flip-flop or thong as it is known over here. So it's not as if my children have to contort themselves into boots or spend precious minutes lacing up shoes. Oh no, all they have to do is slide their toes between a piece of rubber or plastic and they're off. But why bother doing that when you can just go barefoot eh? And it's not just my kids, it's all of them! I don't mind my kids running around barefoot at the park but I usually put my foot (with some form of footwear on it!) down when it comes to walking along the streets with no shoes on. However, on Friday La-la insisted her feet were cooking inside her sandals and begged to be allowed to walk home from school barefoot. It had been a long week and admittedly it was boiling so, figuring this wasn't a battle I needed to have as I dreamed of reaching the shelter of the air-con, I acquiesced. 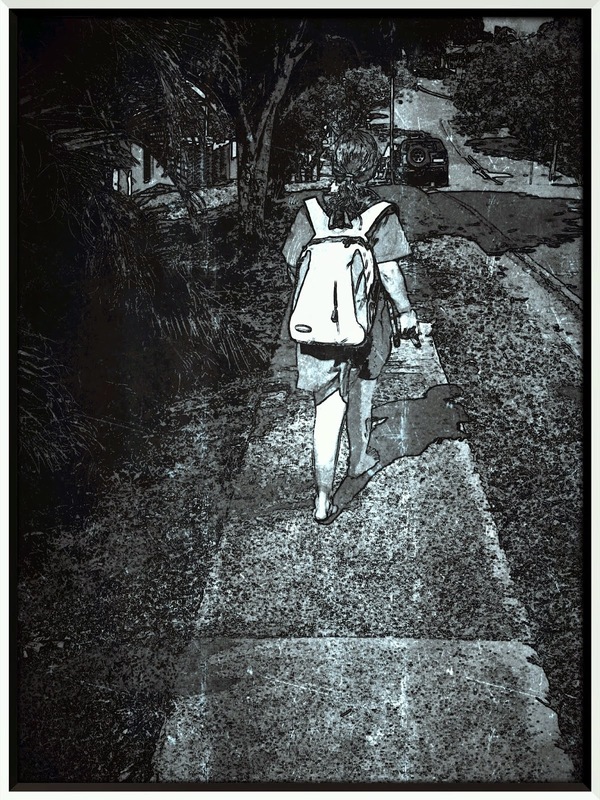 And so it came to pass that the daughter of the man who wandered through his childhood with no shoes on his feet, came to watch her daughter walk along the road home with no shoes on hers. Life - it's a funny old game.